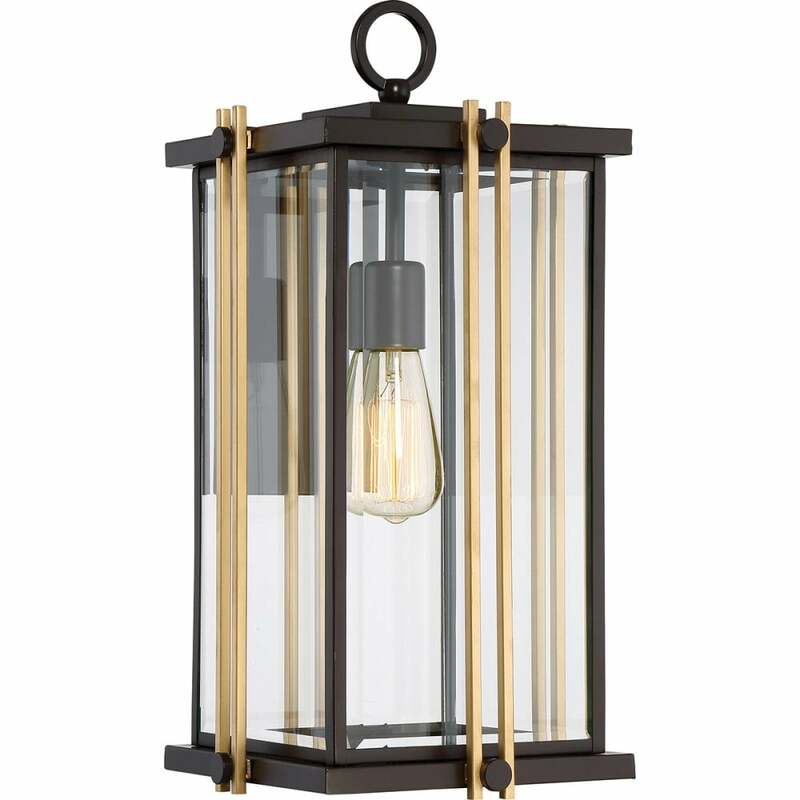 Elstead Lighting Quoizel Goldenrod single light large wall lantern features a back plate and cuboid style frame all in a western bronze finish with bevelled clear glass panels. The product code for this Elstead wall lantern is QZ/GOLDENROD2/L. IP44 rated making this suitable for outdoor use, comes with a 3 year guarantee and the gold rods are removable if you wish to simplify the design. Also available in this stylish range to co-ordinate is a small and medium wall lantern and a pendant all of which can be viewed and purchased from our website.